With the Raincover Hoody 45-65L from Jack Wolfskin you can carry on trekking through the rain. 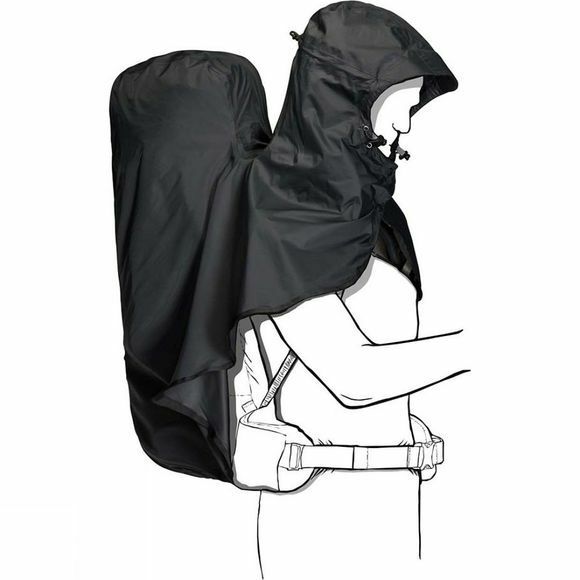 This fusion of rain poncho and backpack cover protects your head, shoulders and the whole of your pack. It's made of breathable, waterproof fabric. You can access the suspension system with the cover in place. The hood has a draw cord so adjusting It is easy. When the weather clears up, simply stash the poncho in the integrated pack bag.